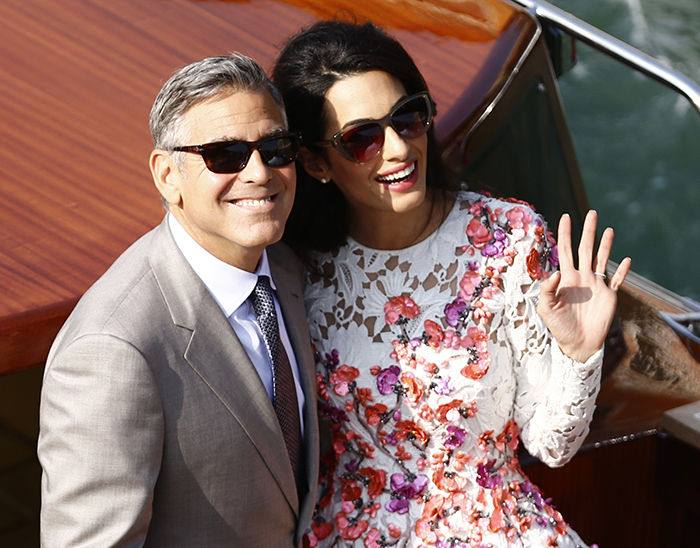 The first post-wedding sighting of Amal alamuddin and George Clooney on Sunday, the day after their sunset ceremony, caused a frenzy amongst locals and tourists alike. 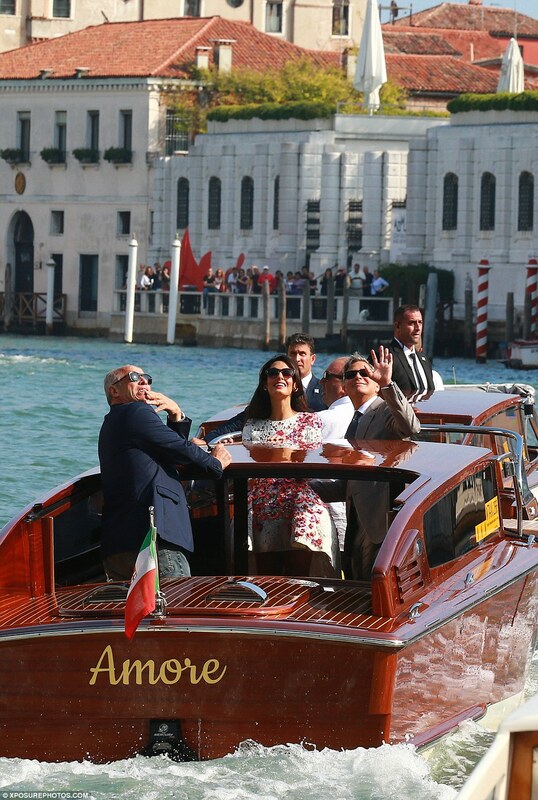 The newlyweds, who married at the seven-star Aman Canal Grande in Venice, were full of joy as they were seen leaving their hotel by taxi boat. 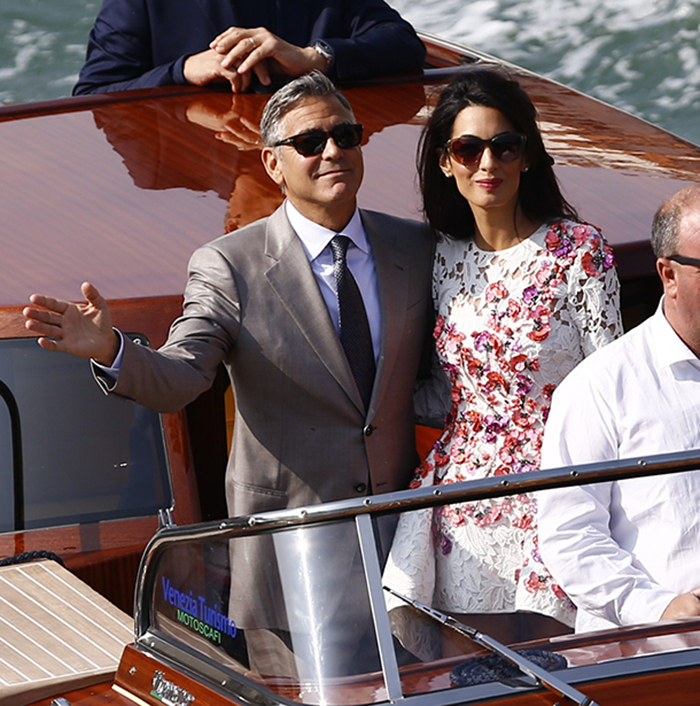 Amal Alamuddin looked radiant and this dress is so gorgeous. This dress is by Giambattista Valli Haute Couture Spring/Summer 2014 collection. 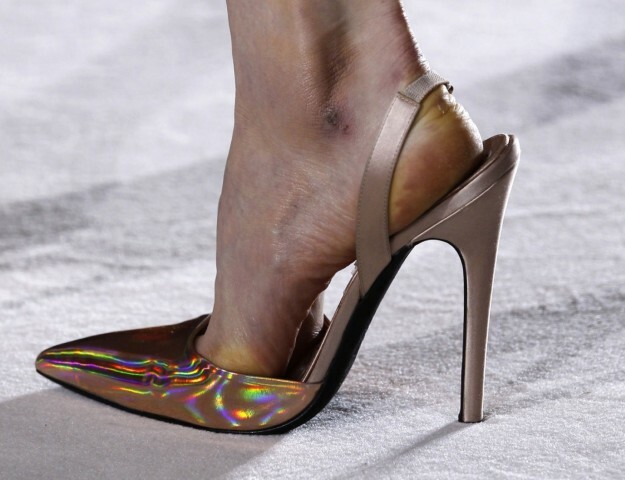 The bronze pumps seem to be the same as during the catwalk. OMGosh, these are amazing pics! Thank you so much for posting, you are so ahead of our British press. 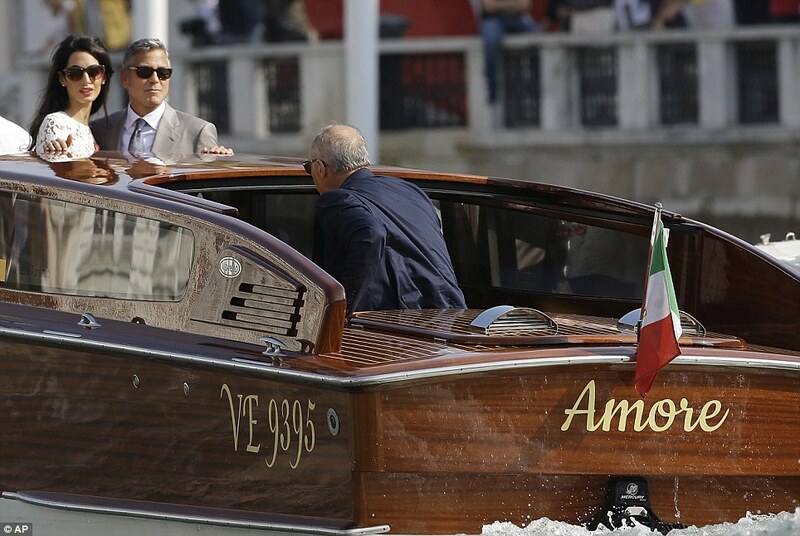 What an amazing weekend for us A & G fans, an amazing experience thanks to your feed. The dress is giambattista valli haute couture spring 2014. Thank you Sara. I was checking Giambattista Valli too. Uh…cringeworthy. Too short! A reminder of her youth and his old age..creepy. Well- dressed but ugly .. she looks like a man. Sorry, I don’t appreciate nasty comments on my page. If you don’t like her, don’t visit my blog. Thank you nati3873 for saying that. I was wishing I could give these nasty commenters a comeuppance myself. I absolutely love this dress and her overall style. I look forward to seeing what she’ll do next. I say if you have legs like hers (besides the brains and accomplishment to boot) then wear dresses like this that show them off!!! with the red flowers by G. Valli ? can anyone tell me how much does this beautiful dress cost? and if it is possible to buy anywhere??? Nati3873, I LOVE your blog. Thank-you for creating it. 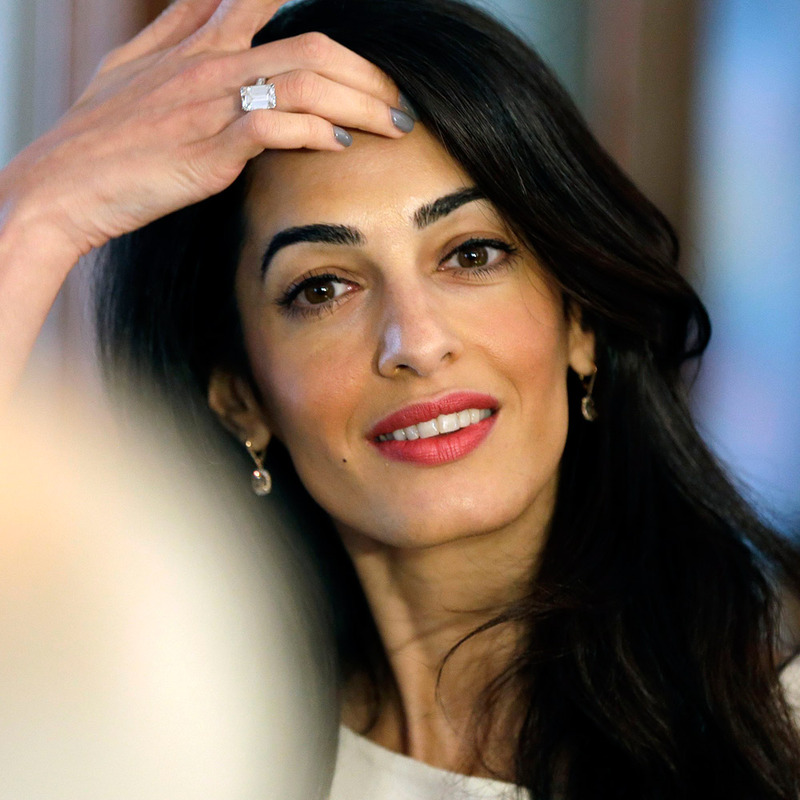 Anyone writing nasty comments here are simply lacking and jealous, otherwise they never would have searched for and clicked on Amal’s beautiful face. She’s lovely but it IS a bit too short for the thinness of her legs and her whole frame. The model-thin look is for the runway – I’d like to see her just 8kg or so heavier at the least. That said, I wouldn’t be surprised if these pictures were the only nuptial photos we’ll see – they may keep many photos – her wedding dress, for example – private, just for themselves. 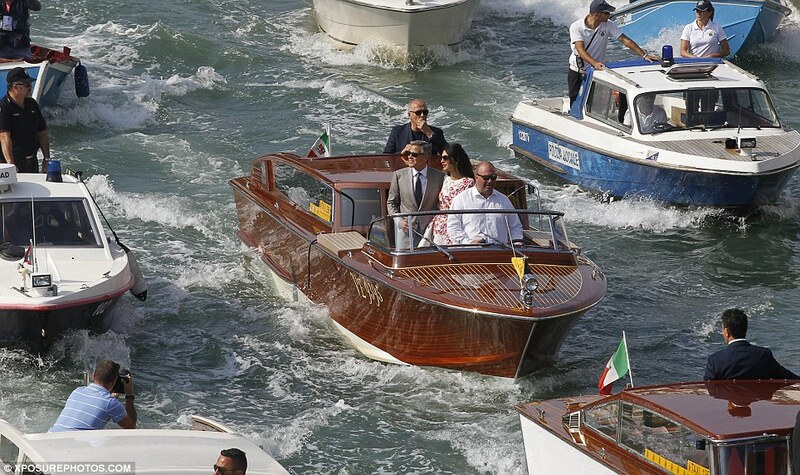 I read that there was a tremendous effort made to maintain the privacy of the service and reception, that the public events on the water were the teaser for the rest of us. I can respect that. Her looks are never boring and love this amazing dress. I hope to see the wedding pics of yesterday in the US Vogue. And tomorrow there is the civil ceremony. 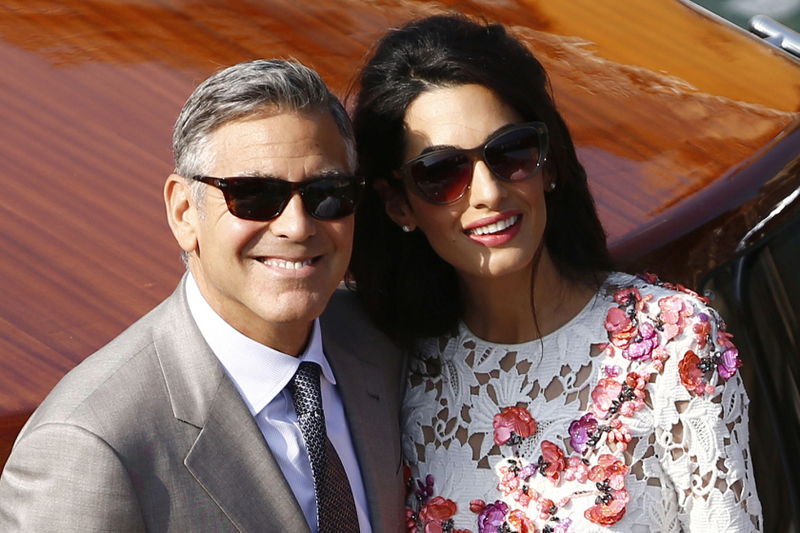 Amal and George have sold their actual wedding pictures to American Vogue with the proceeds going to charity. 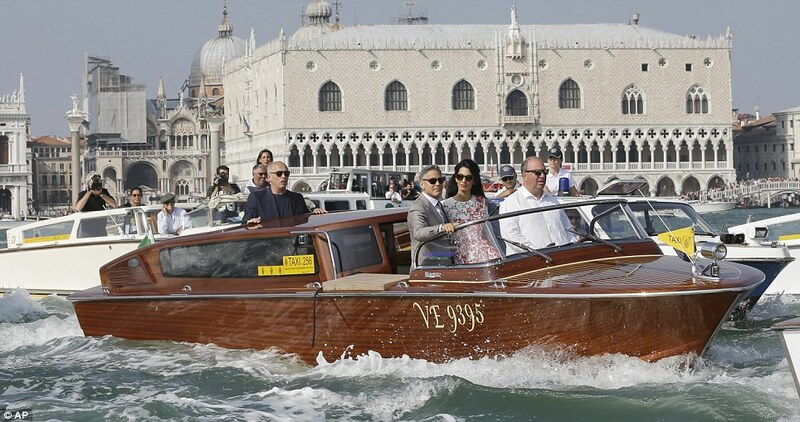 That’s why Anna Wintour was able to be there (perhaps she should’ve stayed a bit more in the background, but I have a hunch she and Damon and the Krasinskis, Bill Murray, etc. were decoys to keep the press away from some of the other high-profile guests, because I think Cate Blanchett and Sandra Bullock were there and I’ve seen no photos of them yet, so who knows what the guest list really looked like). 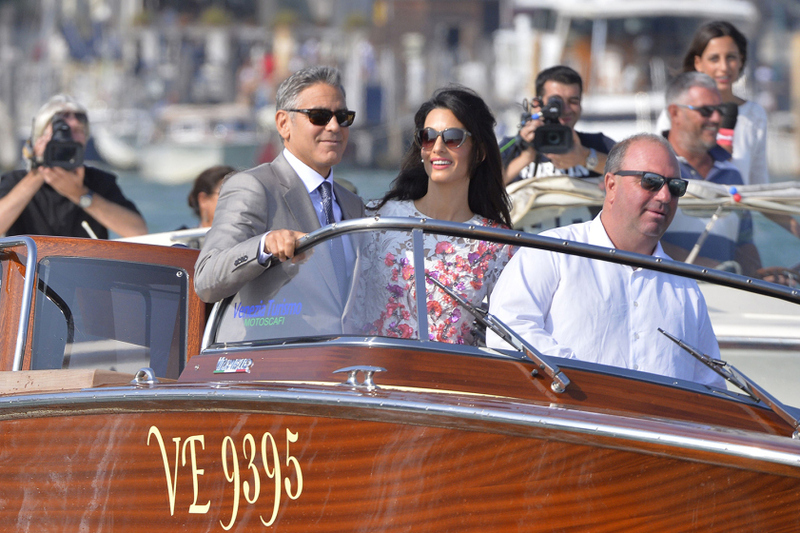 What a fun blog, thank you for keeping us posted on all of Amal’s looks. 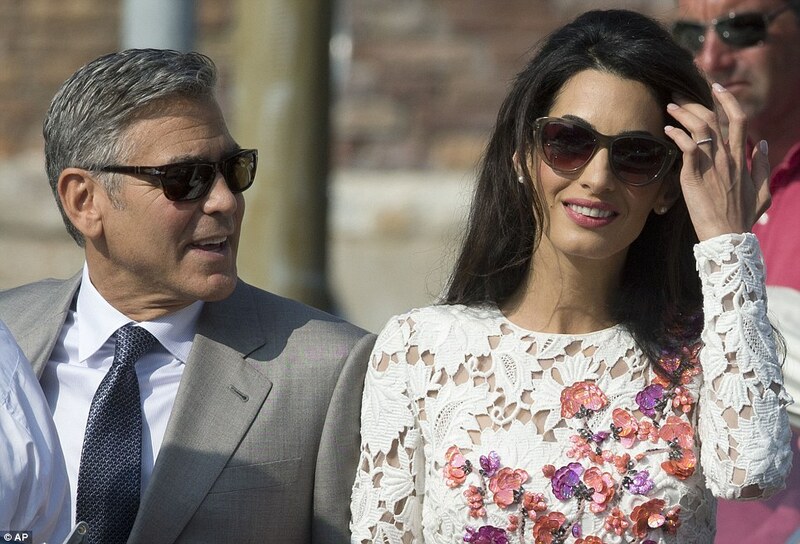 Amal is both wildly intelligent and a wonderfully inventive dresser. The dress is exquisite. I do hope that you are correct and that we can have a peek at the wedding gown in Vogue. I can only imagine how lovely the gown will be. I wonder if it will have an asymmetrical hem as her rehearsal dress and today’s lunch dress feature. Thank you Gaia. There is still the civil ceremony tomorrow. I will post the Vogue pics then the issue is out. Her looks are never boring. Oh my goodness! I forgot that there is another ceremony tomorrow! I will visit again to see more pictures. She is such a beautiful person, in all ways. It is nice to see such happiness and such a beautiful setting for a wedding! Thanks for keeping us updated! P.S. 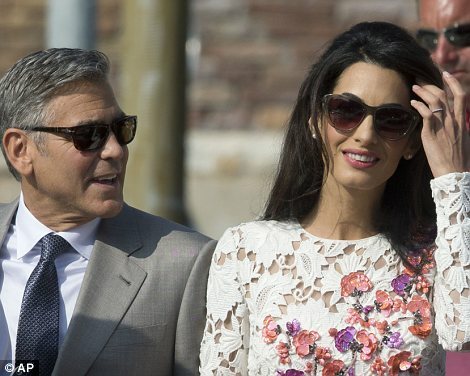 whose shoes do you think Amal is wearing with today’s beautiful dress? Oh god this dress is ridiculous- screams fashion victim! This dress was amazing, so precious. Thank you Nsti3837, I have seen the link and where to get a similar dress but is it legitimate as it is outside US? 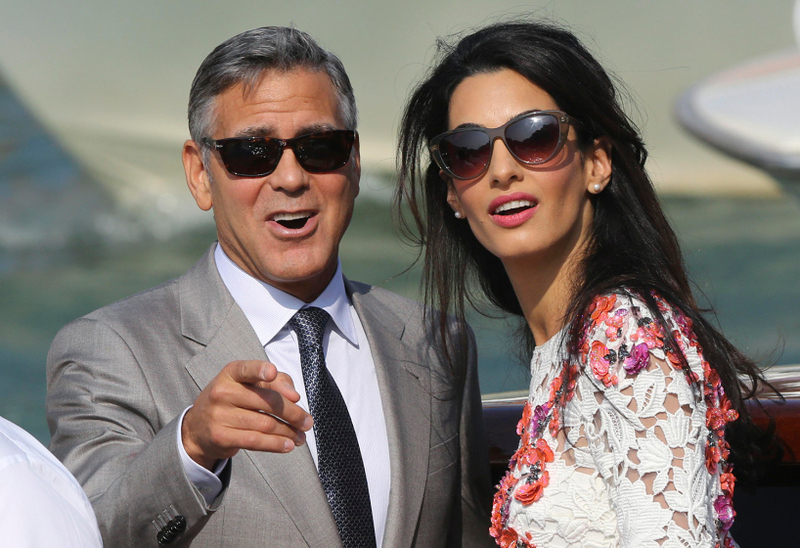 A highly intelligent female lawyer has married an actor. He’s very lucky to have her and this blog is delightful! Thank you for this great blog! I love all these pictures! 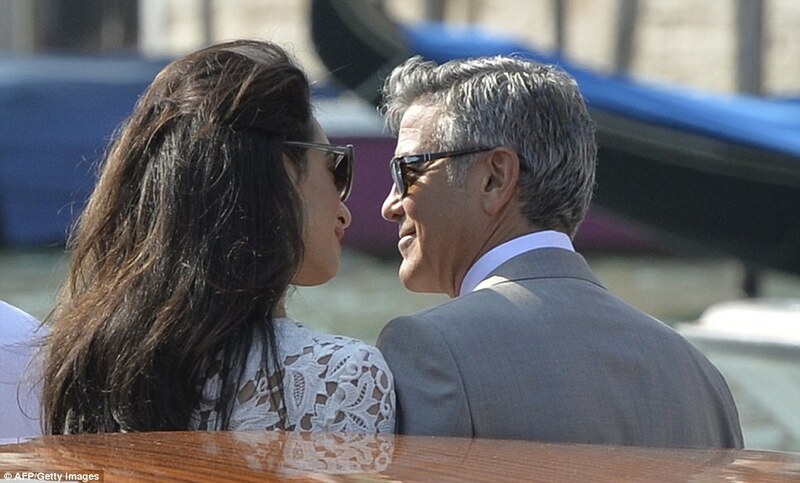 I love Amal’s style so much. This dress is beautiful. I want to see the wedding dress so much!! I was hoping they would release at least ONE picture of the wedding dress. Then I read yesterday that Vogue has the exclusive rights, so I’m kind of bummed that we have to wait to see it. I want to see the wedding dress!! 🙂 I’m sure it is spectacular. Can’t Vogue just release ONE picture of it, and then save the rest for their magazine? Love those sunglasses. Any idea what brand they are? Aren’t you a clever girl! Thank you. Do you know what brand her sunglasses are? She is so stunning! Thank you for the pictures! They look so happy. 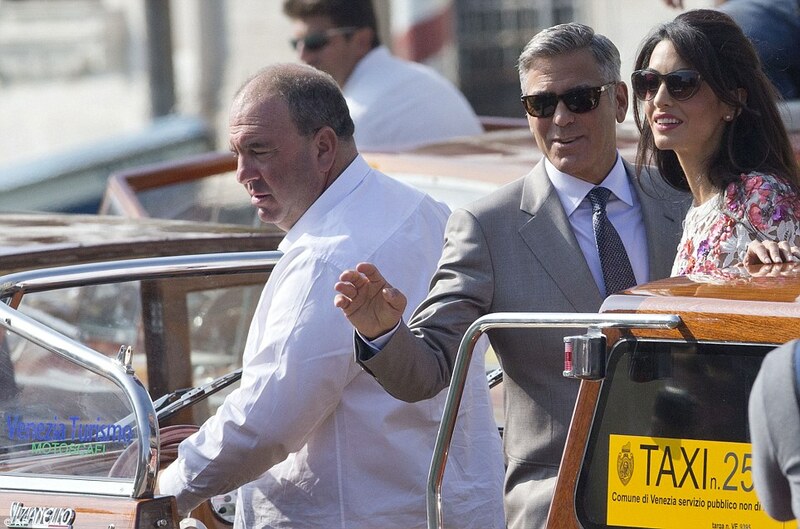 Do you know where I can find the tie George Clooney is wearing it’s so elegant. Thanks! 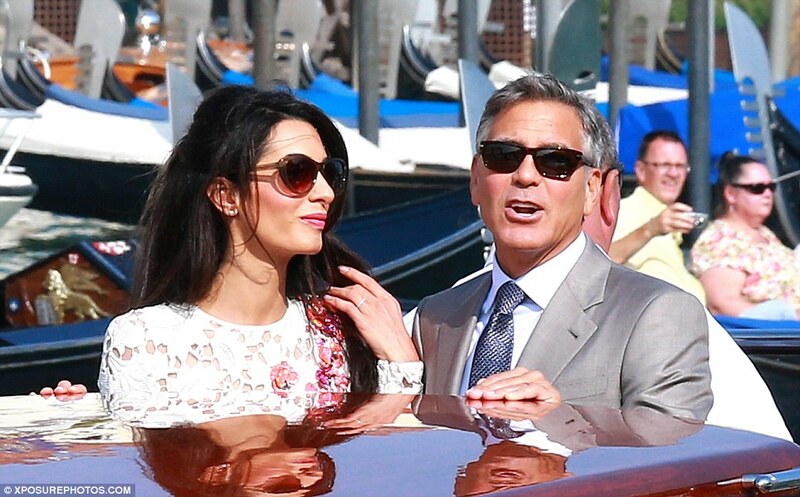 I have been following this Amal Alamuddin blog since it’s inception. I have never heard a bad word spoken on this blog and I hope it continues to maintain it’s innocent classy vibe. This blog provides lovely pictures of her unique and divine style. 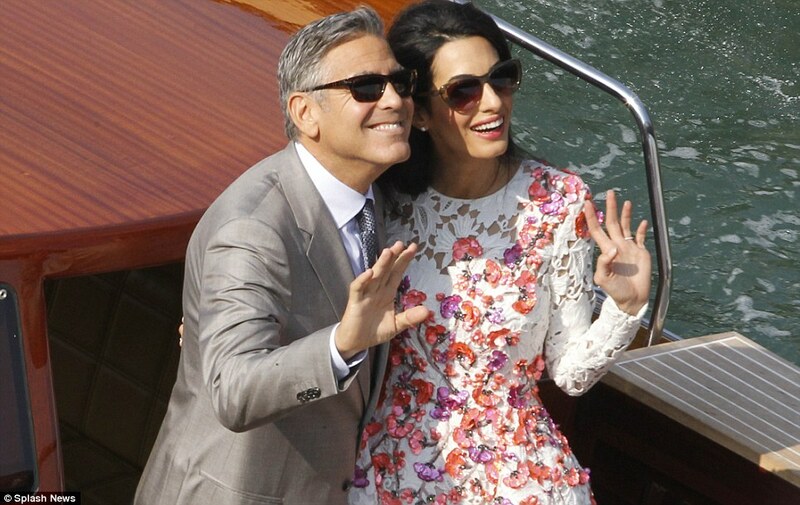 Mrs. Clooney is a intelligent, beautiful, bright, ambitious, lovely, classy lady who was a good girl and followed the rules for this she was rewarded and deserves every happiness blessed to her. 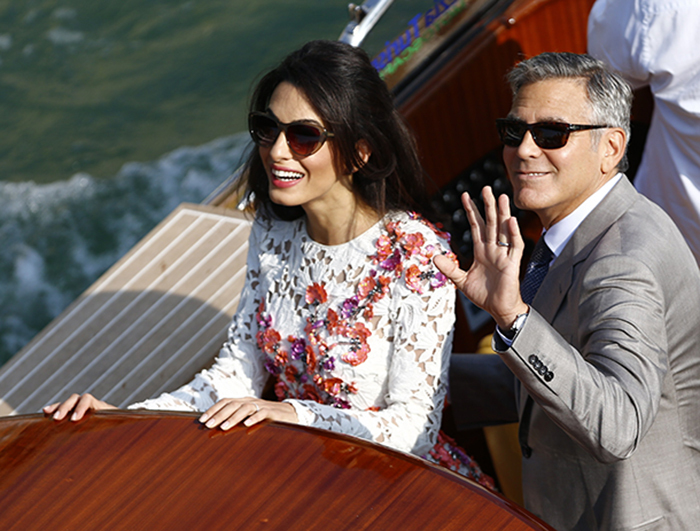 Mrs. Amal Clooney is marvelous and simply a picture of perfection! She looks amazing and I’m dying to find out about those sunglasses! Have been combing the web, but so far come up with nothing! 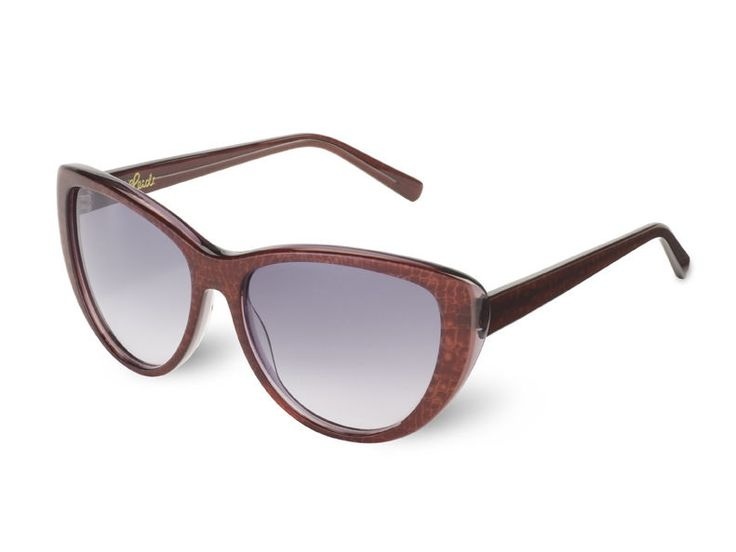 I would also love to know what brand her sunglasses are – searching for them brought me to your blog. Classic and elegant but the coloring makes them that little bit different. Thanks! Whatever I think about the dress’s length, the detail on it is just fantastic. Very bridal with the lace and beautiful flowers. Now if it were me, I would have kept it a minidress but brought in the poofiness of the skirt–made it more streamlined. The way it is, it looks like she’s almost having a Marilyn Monroe moment and the skirt is going to fly up. But it didn’t! Whew! thanks for all the pix! was also wondering who the designer is for the sunglasses! Are these definitely the same ones? They don’t really look this “red” (Bordeaux) shade in the photos? Apologies, that first link went to the red ones! I actually emailed one of the Heidi London stockists about them and they said they are the Khaki so very confused now!! Love the dress! I think it could have been a touch longer but love it regardless. Would love to know what the price of that dress was (although she probably didn’t have to pay for it). Go Fug Yourself is reporting that the original rumors of American Vogue are wrong and that People and Hello! will have the wedding photos.